My mother came over and we had a major cooking session yesterday. We were in the kitchen from 8 in the morning to 5 in the evening. I call that a serious work day. I posted a recipe for Channa Dhal Masala Vadai in the early days of my blog. Of course it had some horrible pictures to try to capture these delicious deep fried lentil snacks so I knew I had to re-do the post. 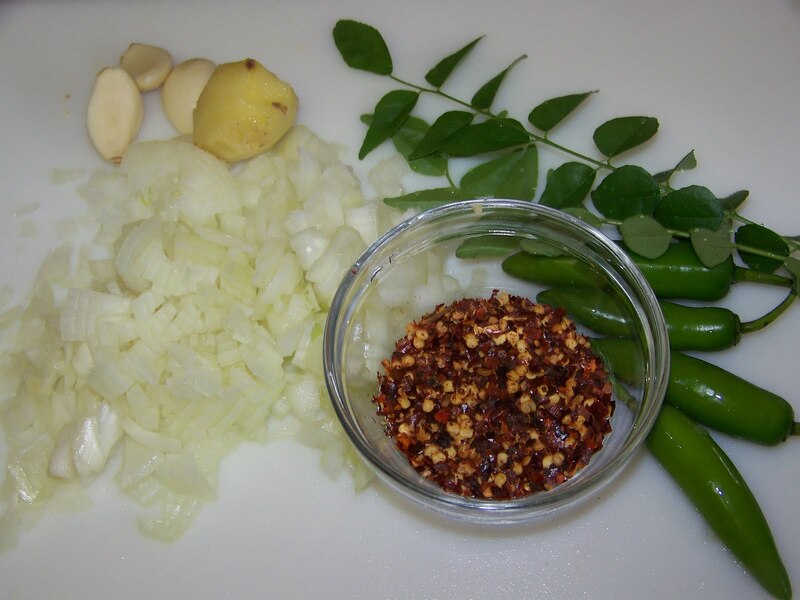 These pictures do some justice to this spicy dish that is popular in India and Sri Lanka. 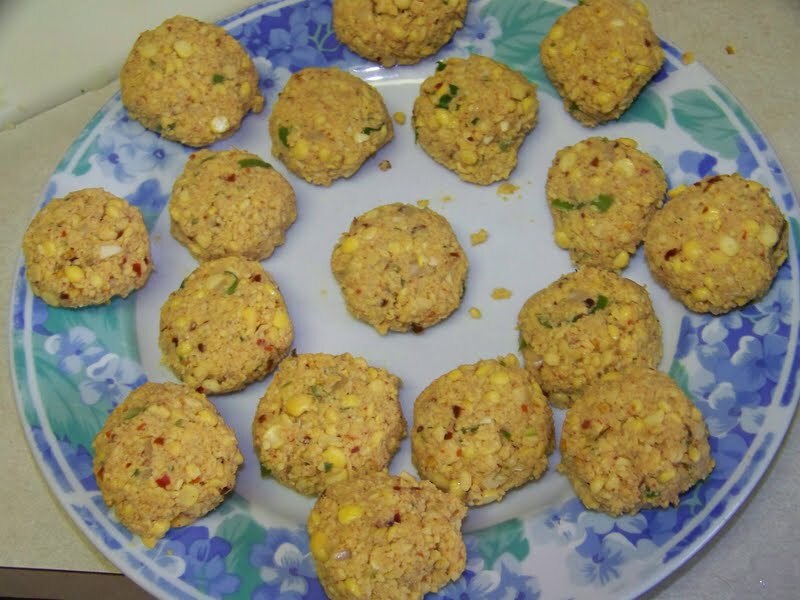 Once you start eating these delicious savory, spicy fritters, you may not be able to stop. 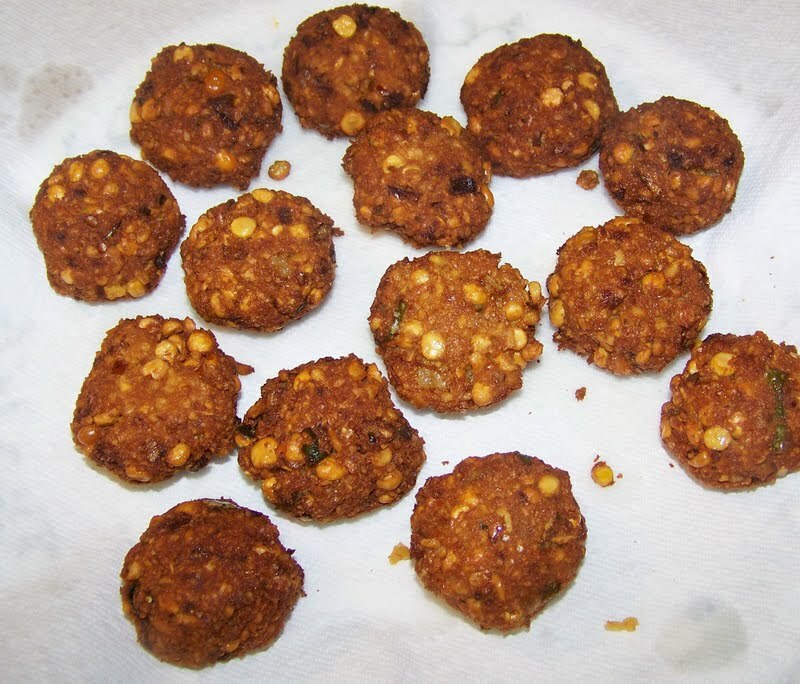 Directions: The first step to making your Masala Vadai is to soak your Lentils. You will want to soak them for 6-8 hour or overnight. 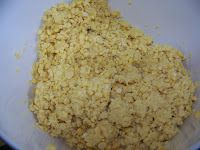 You can see that the dry lentils on the left soften and increase in size as they are soaked. I soaked 2 cups of lentils for this dish overnight. Drain your Channa Dhal well. 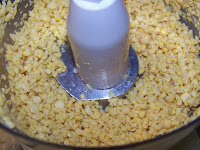 Then in a food processor grind/pulse the lentils into a semi-course paste. You want some of it well pulverized yet some pieces still intact so you can see it's dahl. Mix the lentils with all the other ingredients. 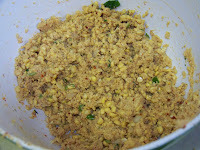 You want the mixture to hold together like a meatball so add chickpea flour a tablespoon at a time to get that texture. Taste for salt and seasoning. Now form the flat patty shapes. 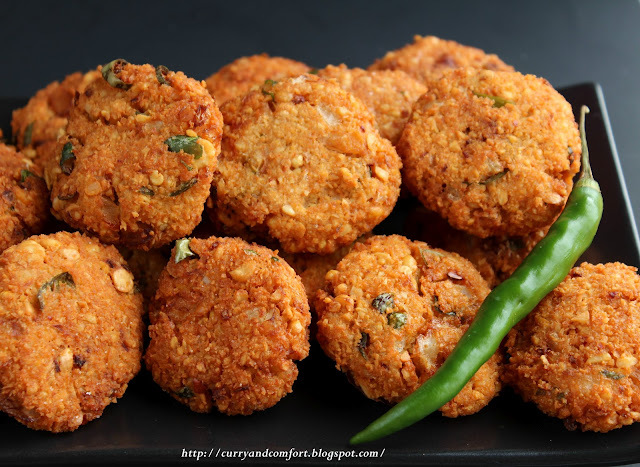 Form the Masala Vadai a little smaller than a golf ball size and shaped into a patty. I placed them on a microwave safe plate because the next step is to pre-cook them in the microwave. 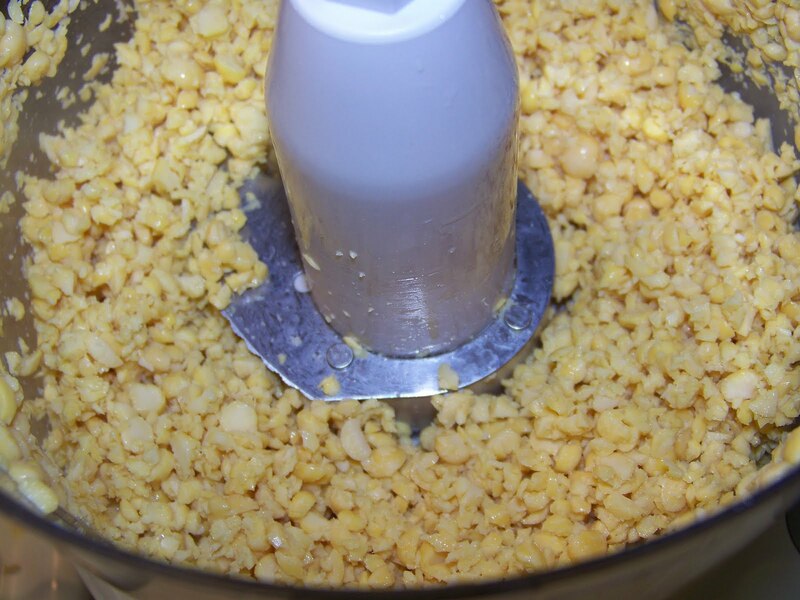 **I got this tip from another recipe and it works great. 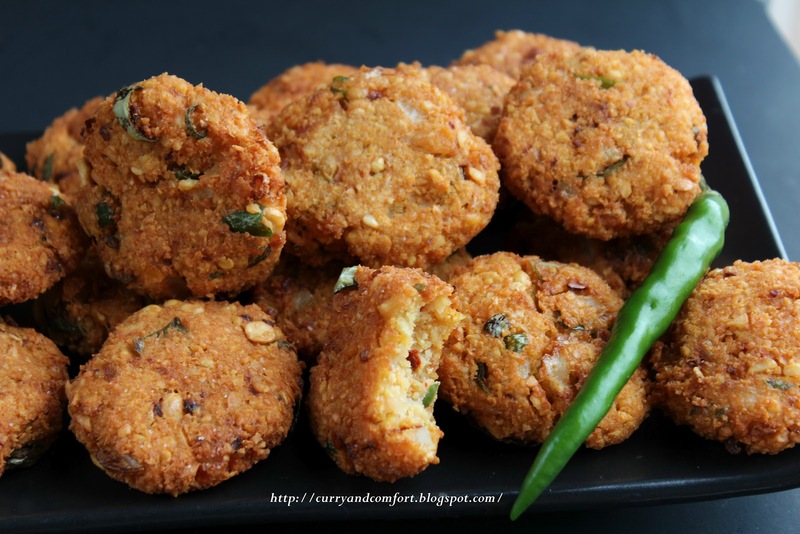 You will microwave about a dozen vadai for about 2 minutes (depending on your microwave). They will become firmer to the touch (but not hard). This also cuts down on the frying time. Heat canola oil on med-high heat and when hot start frying vadai a few at a time until fully cooked. I cooked them for about 2 minutes in the hot oil. You don't want your oil too hot so not to burn the vadai. Test out the first batch and adjust the heat of the oil accordingly. Drain on a paper towel and continue frying. Eat hot or at room temperature. This recipe should make about 30 vadai. Enjoy. Wow! These are awesome. Great photos. 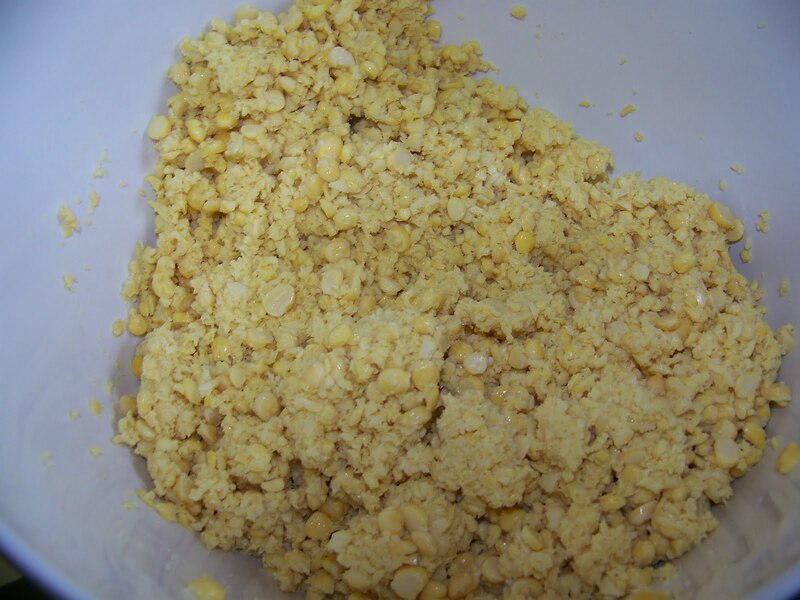 I love that you used chickpea flour. Ramona these look fantastic and I actually have the yellow lentils. Gotta try this. I love the photos they look very appetizing. I could eat a couple right now. Have a lovely day my friend. Yes, I'm Sri Lankan. Nice to meet you! :) Masala vadai is one of my all-time favourite snacks and yours look perfectly crisp and delish. thank you for sharing these..I've been looking to make these at home since trying them from the market..can you give a recipe on the coconut and pepper sauces sides that is served with this please? OMG Ramona these look amazing. I said it on Facebook but I just HAD to comment: these will easily become an addicting college snack for me this Fall :) Great Job! Ramona these look great! Mmm, deep fried lol. Sounds like you and your mom did a lot of work! That is fun work! These look great! I have never tried them before and they are naturally gluten free, so i am going to have to give them a shot! 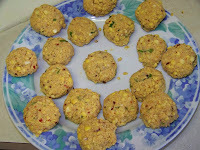 I love lentil dishes, but have never had these deep-fried patties--they remind me a little of felafel. They look amazing! Hi Ramona, I've never tried this dish, but it looks delicious! Spicy and fried, that's a winner! I have to say I am not familiar with these beans but I would love to try this snack idea. Sounds fantastic! I would love to spend all day in the kitchen with my girls. I'd also love to turn out a yummy treat like this. Wow, Ramona, these look so delicious!!! I have never had anything like them but I hope to try them soon! As always, beautifully done, Ramona. How fun that you got to spend a day with your mom! The next time I am at one of our Asian or Indian markets I am going to have to pick up some channa lentils. I am always intrigued by the different lentils and peas I find at those markets...not to mention the spices! Amazing! I think I could eat them all in one sitting. Wow these look so amazing. WHen I saw them on 'taste spotting' I couldn't resist! I wonder if I can find lentils like that. I tend to get the red, brown or green ones.